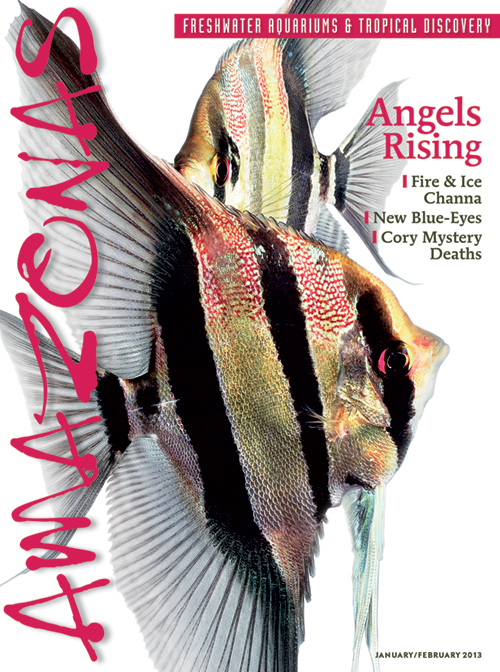 AMAZONAS Magazine is one of the world’s legendary tropical fish publications, read by tens of thousands of enthusiasts who are passionate about keeping fascinating and thriving freshwater aquariums in homes, offices, schools, and businesses. Take advantage of the Special Introductory Offer by following SUBSCRIBE above and get FREE Access to the current Digital Edition, followed by a full year of AMAZONAS — in both beautiful print and read-anywhere digital formats. You will enjoy generous savings over the newsstand price and the convenience of home delivery. Published bimonthly with Free Shipping and an Ironclad Guarantee. Tropical Travel & Discovery, Thought-Provoking News, Portraits, Interviews, Technology Updates, and much more. Stay inspired, stay informed, stay connected with the world’s most enthusiastic aquarium keepers. Order a convenient and personal subscription for yourself or as a gift for your favorite fishkeeper.